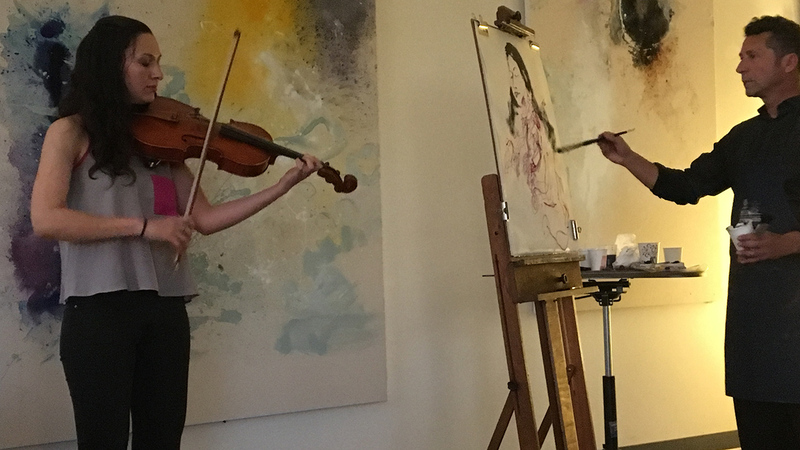 This sketch of Deanna and Ryan was drawn directly from life in a single sitting, as the musicians played. 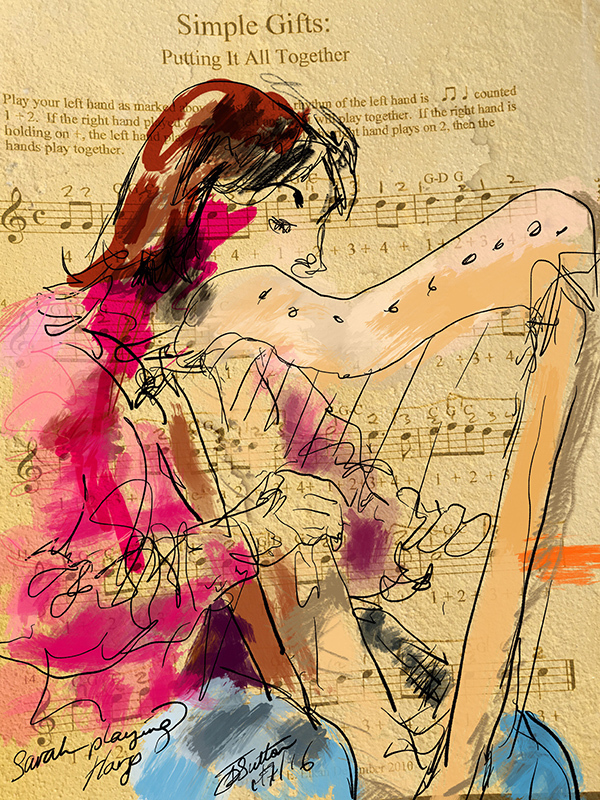 This sketch, and the one below of Sarah playing a harp, were both created as part of my Music & Art iPad Drawing Workshop held in my studio. 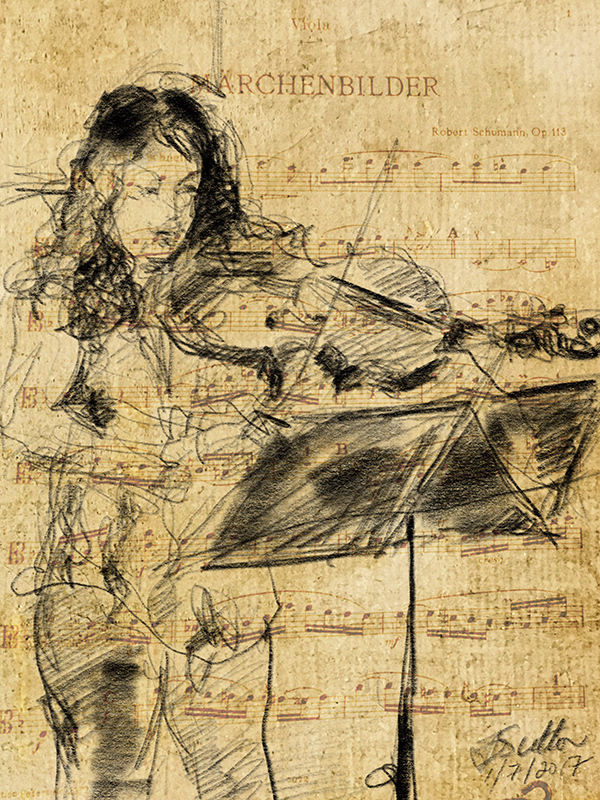 I’ve included the replay videos also, so you can enjoying seeing how each sketch unfolded, brush stroke by brush stroke.